The Golden Duck Awards for Excellence in Children's Science Fiction were given annually from 1992 to 2017. The awards were presented every year at Worldcon or the North American Science Fiction Convention (NASFiC). In 2018 they were replaced by the Notable Book Lists of the same names sponsored by the Library Information and Technology Association (LITA). NASFiC, a.k.a. the North American Science Fiction Convention, is a science fiction convention scheduled only during years where the Worldcon is being held outside the North American continent. NASFiC bids voted on by the Worldcon membership the year after a non-North American Worldcon site has been selected. As of 2014, this is one year in advance of a potential NASFiC. The Golden Duck Awards were funded by Super-Con-Duck-Tivity, Inc., which also sponsored the U.S. midwest regional science fiction convention DucKon. Winners were selected by a group of teachers, librarians, parents, high tech workers and reviewers. DucKon was an annual science fiction convention held every May or June in the Chicago area between 1991 and 2014. The name is a shortening of DUpage CountyKONvention. There was also a provision for a Special Award if a book was found to be outstanding but did not fit any of the standard categories. The picture book award is sometimes given to a book with non-fictional science content with a story "wrapper" as well as traditional Science Fiction themes. 2016 - Interstellar Cinderella, by Deborah Underwood, illustrated by Meg Hunt. Paul Fleischman is an American writer of children's books. For his contribution as a children's writer he was one of five finalists for the biennial, international Hans Christian Andersen Award in 2012. He and his father Sid Fleischman have both won the Newbery Medal from the American Library Association recognizing the year's "most distinguished contribution to American literature for children". David Wiesner is an American illustrator and writer of children's books, known best for picture books including some that tell stories without words. As an illustrator he has won three Caldecott Medals recognizing the year's "most distinguished American picture book for children" and he was one of five finalists in 2008 for the biennial, international Hans Christian Andersen Award, the highest recognition available for creators of children's books. George Ancona is an American photo essayist and creator of photo-illustrated children's picture books. He was born and raised in Brooklyn, New York, the son of immigrants from Mexico. He painted signs for Coney Island at "12 or 13" years and as a teenager "knew I would become an artist". As of 2008 he lived in Santa Fe, New Mexico. Bruce Farrington Coville is an author of young adult fiction. Enraptured with reading novels at a young age, Coville was first published in 1977 and has over 100 books in his repertoire. Peter Allen David, often abbreviated PAD, is an American writer of comic books, novels, television, films and video games. 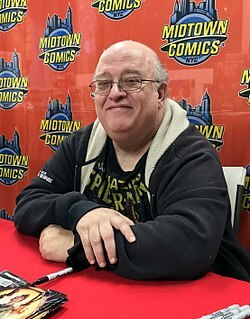 His notable comic book work includes an award-winning 12-year run on The Incredible Hulk, as well as runs on Aquaman, Young Justice, Supergirl, Fallen Angel, Spider-Man 2099 and X-Factor. Mark Jansen,, is a Dutch guitarist, vocalist, and songwriter. A prominent figure in the symphonic metal subgenre, he is known for his work with the bands After Forever (1995-2002), Epica (2002-present), and MaYaN (2010–present). Hal Clement's own writings weren't YA, but his high school science teaching career strongly connects him to the YA age group. The primary story elements are correct science with science fictional extrapolations and characters who solve problems on their own. 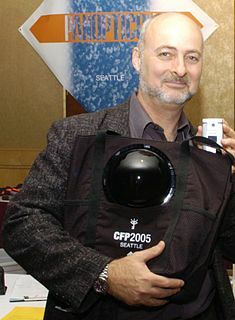 2010 – Special Award Nonfiction – You Write It: Science Fiction by John Hamilton. ABDO Publishing Company. Philip Foglio is an American cartoonist and comic book artist best known for his humorous science fiction and fantasy art. Viking Press is an American publishing company now owned by Penguin Random House. 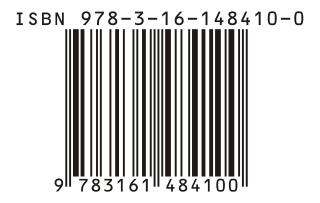 It was founded in New York City on March 1, 1925, by Harold K. Guinzburg and George S. Oppenheim and then acquired by the Penguin Group in 1975. Jon Scieszka is an American children's writer, best known for picture books created with the illustrator Lane Smith. He is also a nationally recognized reading advocate, and the founder of Guys Read – a web-based literacy program for boys whose mission is "to help boys become self-motivated, lifelong readers." David A. Hardy is a British space artist. Robert Paul Holdstock was an English novelist and author best known for his works of Celtic, Nordic, Gothic and Pictish fantasy literature, predominantly in the fantasy subgenre of mythic fiction. The Golden Kite Awards are given annually by the Society of Children's Book Writers and Illustrators to recognize excellence in children’s literature. The award is a golden medallion showing a child flying a kite. Instituted in 1973, the Golden Kite Awards are the only children’s literary award judged by a jury of peers. Eligible books must be written or illustrated by SCBWI members, and submitted either by publishers or individuals. The Indies Choice Book Award is an American literary award that was inaugurated at BookExpo America 2000. The American Booksellers Association (ABA) rededicated the award in recognition of a new era in bookselling, as well as the important role the Book Sense Picks List has played for independent booksellers in discovering and spreading the word about books of quality to all stores, and readers, nationwide. Throughout the year, Book Sense independent booksellers from across the country nominate for inclusion in the monthly Book Sense Picks the books that they most enjoyed hand-selling to their customers. The books on each list represent a combined national and local staff pick selection of booksellers' favorites from more than 1,200 independent bookstores with Book Sense. Mac Barnett is an American writer of children's books living in Oakland, California. Multiverse: Exploring Poul Anderson's Worlds is a gedenkschrift honoring science fiction and fantasy author Poul Anderson, in the form of an anthology of short stories and tributes edited by Greg Bear and Gardner Dozois. The book also includes cover art and interior illustrations by Bob Eggleton. It was first published in hardcover in May 2014 by Subterranean Press, with simultaneous paperback and ebook editions issued in June 2015 by Baen Books. All but one of the pieces are original to the anthology; the remaining one, Tad Williams's "Three Lilies and Three Leopards ", was originally published in the Winter 2012 issue of the ejournal Subterreanean Online. This Bruce Coville bibliography covers the over 100 books written by young adult fiction author Bruce Coville. Legends and speculative fiction reveal a longstanding human fascination with rolling and wheeled creatures. Such creatures appear in mythologies from Europe, Japan, pre-Columbian Mexico, the United States, and Australia, and in numerous modern works.